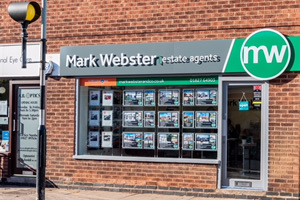 About Us - Mark Webster & Co.
Our prominent offices offer a professional and quality service dedicated to the needs of our clients and customers and supports them through one of life’s major and most rewarding challenges. 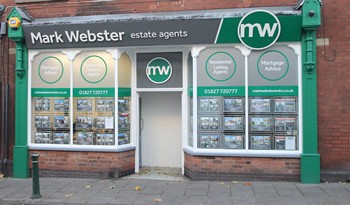 We embrace the latest technology including eye catching LED-lit window displays, state of the art agency software meaning we can match your property to genuinely interested clients as soon as it is instructed on to the market, skilfully designed sales particulars, HD photography and more. Clients or prospective buyers will be greeted by our friendly, helpful staff that will be on hand to discuss your requirements. Whether you are seeking a new home, property venture or a developer finding your next project, our staff will be only too pleased to help.